In just a few short days, Microsoft will be celebrating Windows 10’s first birthday. It has been a busy year that has seen a number of Windows 10 updates with new features and improvements, but the biggest one is arriving on August 2nd. Microsoft’s free Anniversary Update to Windows 10 includes some highly requested features, but overall it’s full of minor additions that really make the OS feel a lot more polished. I’ve been testing Windows 10’s Anniversary Update for months now, and I’ve witnessed it progress to a point where it’s ready for the masses. 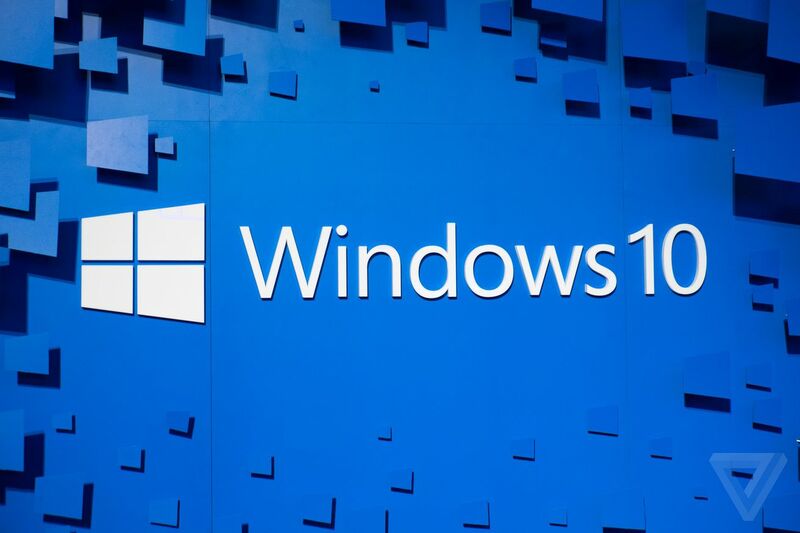 Here are the 10 best new features coming to Windows. Windows Ink is without a doubt the best part of the Anniversary Update. When I reviewed the Surface Book, I found it irritating and surprising that ink support in Windows 10 was so limited. Windows Ink improves things a lot. It’s essentially a central location to find built-in or third-party apps that work with your stylus. You can use the new sticky notes to note down reminders, and they’ll even transform into true reminders as Cortana understands what you write. I’ve found the new sketchpad is useful if you simply want to doodle, or draw a guide to something for friends and family. The new virtual ruler seems like such an obvious addition, it’s hard to imagine inking without it. You can use it to draw shapes or just straight lines, and it’s the perfect blend of touch and stylus input. The screen sketch feature is equally useful, as it automatically takes a screen grab and lets you ink all over it and quickly share it. I’ve used this many times to share my notes on a product or picture I’ve seen, and it’s encouraged me to pick up and use a stylus that I haven’t used for months. 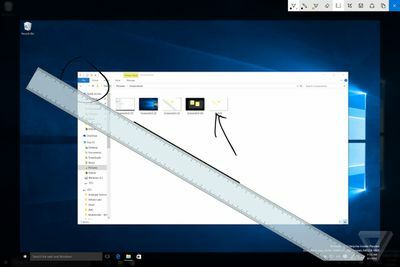 Unfortunately, Windows Ink isn’t the perfect solution for solving all the limitations of pen input in Windows 10. I still can’t use the built-in mail client and immediately start writing hand-written email, and the pen still doesn’t feel like it’s a core part of Windows 10, despite Microsoft’s work to integrate it more into Edge, Cortana, and apps like Maps and Office. 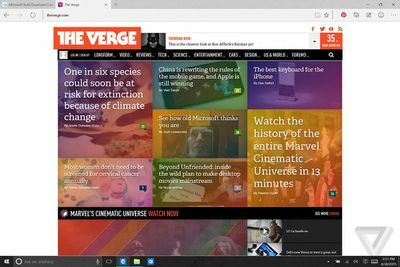 If you’re a fan of Chrome extensions, then you’ll be glad to hear that they’re heading to Microsoft’s Edge browser. The Anniversary Update brings support for extensions, and it’s now up to third-party developers to fill the Windows Store with their add-ons. They’ve very similar to Chrome extensions, and ones like AdBlock, 1Password, LastPass, and EverNote are already available. And my favorite update to the notification shade so far is the way quick toggles are integrated. On Marshmallow, you had to drag down the shade and then swipe down a second time to access things like Wi-Fi and Bluetooth toggles, but N includes a row of five icons above your notifications. You’ll still need to swipe again to see the rest, but the icons are customizable so you can pick the ones you use the most. 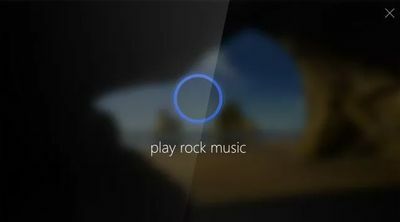 Microsoft’s digital assistant, Cortana, debuted on Windows 10 last year, and the software maker is bringing it to the lock screen with the Anniversary Update. You’ll be able to ask it to make a note, play music, set a reminder, and lots more without ever logging in. Cortana is also getting a little more intelligent, with the ability to schedule appointments in Outlook or options to send friends a document you were working on a week ago. I still rarely use Cortana with my voice, and I’d like to see Microsoft focus on an Alfred competitor for Windows that really enhances the power of Cortana and taps into the company’s focus on productivity. I love the new dark theme in Windows 10. Microsoft hadn’t fully completed the Windows 10 UI last year, but it’s starting to look a little more polished now. Most laptop displays and monitors have black bezels, and the continued use of a dark mode across the OS just bleeds naturally into the corners. You can switch on what I call even darker mode in settings, and it will switch built-in apps that typically use a white background over to black. 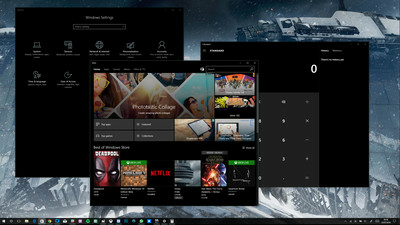 Microsoft has also tweaked the Windows 10 UI in more ways than just a dark theme. The all apps list is now an integral part of the Start menu, and Live Tiles are now chase-able. This means if you see something like a news story on a Live Tile, you’ll go directly to that news item when you click the Tile instead of simply opening the homepage of an app. The Action Center (notification center) has also been improved, with badge icons in the taskbar that correspond to the number of outstanding notifications. 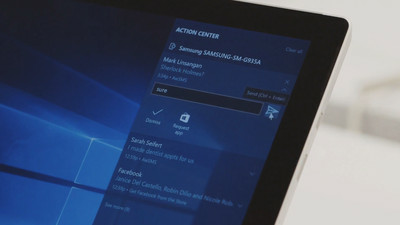 You can also reorganize the number of quick actions in the Action Center, with 14 available to choose from to get easy access to settings like VPN, tablet mode, quiet hours, Wi-Fi, and more. Microsoft has even improved the system clock in Windows by adding a calendar with a full list of your own events. Elsewhere, if you’re a fan of tablet mode then you can now choose to automatically hide the taskbar when you’re using a tablet. This lets apps take full advantage of the screen just like they used to in Windows 8, and Microsoft has also improved the all apps view on the Start screen so it’s full-screen and easier to navigate. I’ve always been jealous of the automatic time zone switching in OS X, and astonished that Microsoft has never added a similar feature to Windows. With the Anniversary Update to Windows 10, it’s finally here. If you’re travelling abroad for vacation then you’ll never have to worry about manually adjusting your PC clock again. It sounds like the most minor feature, but more often than not it’s the small things that add up and make a difference. Microsoft hasn’t enabled the automatic time zone switching by default, so you’ll need to enable it from the settings app. 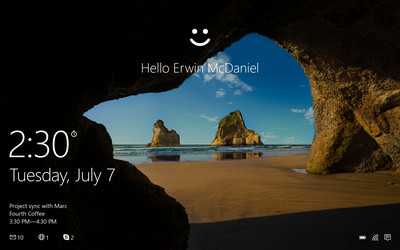 Windows Hello is one of the best features that Microsoft added to Windows 10. It uses a special camera (usually found on the latest PCs and laptops) to scan your face and let you log into Windows without using a password. It rarely fails for me, and it’s so solid and seamless I have it enabled and use it daily. Microsoft is making Windows Hello even better in the Anniversary Update, with integration into apps and websites. You won’t need your password for websites if you have a new PC that supports Windows Hello. Just sit there and let it scan your face or your fingerprint, and then you’re in and ready to go. The Xbox One is finally getting Windows apps. It feels like a promise that was made years ago, but it’s finally coming true with the Anniversary Update. 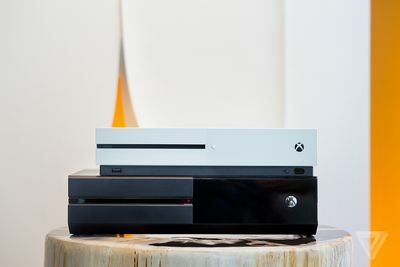 As Windows 10 now powers the Xbox One, Microsoft will start rolling out an update to its console to provide support for Cortana on Xbox One and the new universal apps. We’re expecting to see a solid number of new Xbox apps as a result, and a few have already started appearing. Netflix is using a universal app across Windows 10 devices and Xbox One, and Microsoft has started moving its MSN Weather and Groove Music apps across. Most of the apps we’ve seen so far look identical to their Windows 10 counterparts, and developers shouldn’t have to do too much work to adapt for the bigger displays traditionally used with the Xbox One. 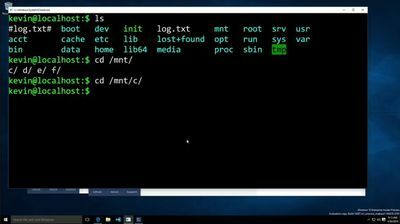 Microsoft surprised the developer world when it unveiled bash for Windows earlier this year. If you’re a developer then Bash on Windows 10 is a big deal, for everyone else it’s something you won’t really use. Microsoft is essentially adding the Linux command line to Windows 10, and it’s a great addition for Linux developers that need access to all their tools on Windows. It’s an optional Windows feature you’ll need to go in and enable, but once it’s setup you’ll receive updates if Microsoft tweaks it in the future. It might even help convince some developers to create apps for Microsoft’s platform. Microsoft is adding a new "project to PC" option in Windows 10 Anniversary Update. It’s similar to remote desktop, but it allows you to easily find a PC to project to from a phone or another PC. You’ll be able to project what you see on your own display onto another machine, and use its keyboard, mouse, and other peripherals. It seems like a feature that is more suited to the business environment, especially if you want to show a colleague a document but don’t necessarily want to share the contents directly with them. It feels like Windows 10 has so many Skype apps it’s difficult to know which one to choose. 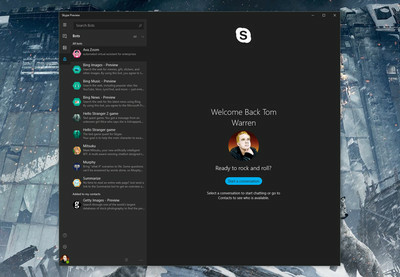 While there’s a desktop app and integration into the Messaging app in Windows 10, Microsoft has created a new universal app that’s designed to be the future of Skype on Windows 10. It’s not totally feature complete yet, but for your basic Skype video and audio calls it works well. It launches instantly, and you’ll get notifications for calls and messages straight within Windows 10 whether you have it open or not. Alongside Windows Ink, syncing phone notifications to your PC has to be one of the best additions to Windows 10 Anniversary Update. If you have a Windows 10 or Android phone then you’ll be able to use Cortana to sync notifications from all your phone apps up to your PC. You can even reply to messages, dismiss notifications, and quickly send photos from a phone to a PC. Overall, I’m impressed with Windows 10 Anniversary Update. After just a year, Microsoft has managed to update Windows 10 with a solid amount of new features. This is the exact promise of Windows as a service, and it’s encouraging to see it in action. There are still many bigger things I’d love to see in Windows, but it’s often all these small additions that make for a better operating system overall. I’ve touched on most of the obvious feature additions, but Microsoft has also made a lot of fundamental improvements behind the scenes to better support multiple monitors and DPI scaling, improve battery life, and generally make Windows that bit faster. Even with Windows 10 Anniversary Update, Windows 10 isn’t complete. This is just the latest update, and more features and changes are coming later this year and beyond. It feels like the big promise of Windows 10 across multiple devices is finally here, and Microsoft is now building on top of what that means.